Let’s face it… your child is living in a tough, competitive world. Add to that the continuous bombardment of television, internet and social media. Your child needs your support more than ever. As parents, you are the primary support system of your child. During these times of exam preparation, your child will need all the help he/she needs from you. And you need someone to help you. That’s where the Review Masters team comes in. We at Review Masters have helped thousands of students like your child to enter their dream university. We know that your child needs a preparation that is suited to their generation. We are encouraging you to work with us to give your child the best future that they deserve. We are in this AS A TEAM. And we believe that through our support, your child can make it. 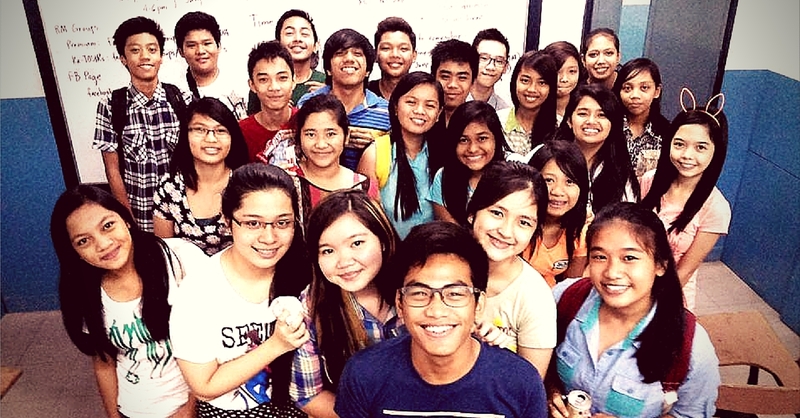 We created a system for your child to assure the best preparation for the UPCAT, ACET and other college entrance exam. Get expert help from the best review professors. Enroll in the classroom review. It's not just what your child knows. It's how to retrieve the info. It's good to have friends & mentors whom your child could ask for help. Be a member of our Facebook community. Ok, there is a system. So what are the steps that I need to take to help my child? Your child needs to review. And as a parent, you have to know how you can support and help them. To help you out on this, we will deliver tips and information straight to your inbox. Registration is FREE! Click here to sign up or fill in your information in the form. Be up-to-date with tips, strategies, and tactics on test-taking that you can share with your child. Instead of just using social media casually, let’s use Facebook to prepare them for the test. Like the Review Masters Facebook Page. 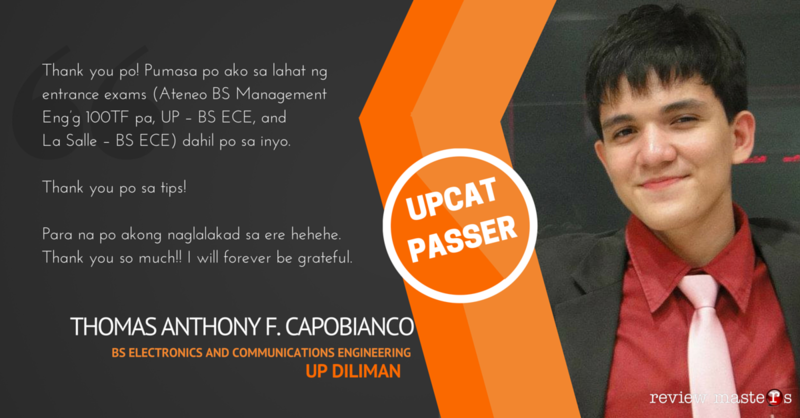 Go over the articles that we have written throughout the years about the UPCAT and other college entrance tests. Surely you will pick up a point or two that can inspire your child to prepare better. Read the blog. Let the experts help your child as he or she prepares for the test. Our pool of mentors who are experts in their respective fields will guide them to understand the concepts and topics that they need to focus on. 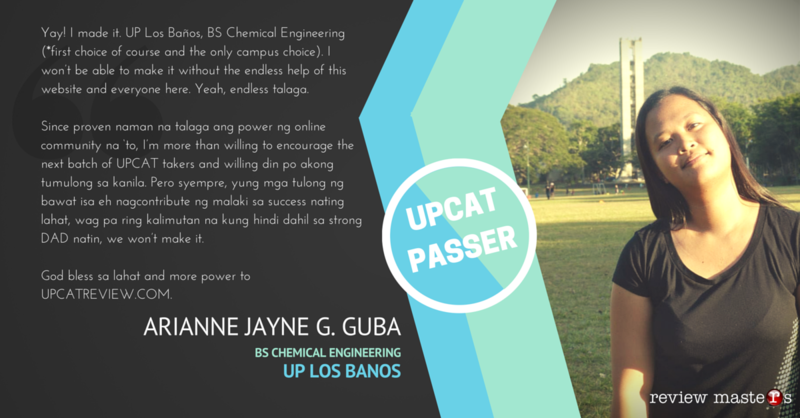 Enroll in the complete UPCAT Review Program now. Your child will need all the support that you can give them. However, let us refrain from giving them too much pressure. Let them feel a loving and supportive environment so that they are encouraged to do their very best. 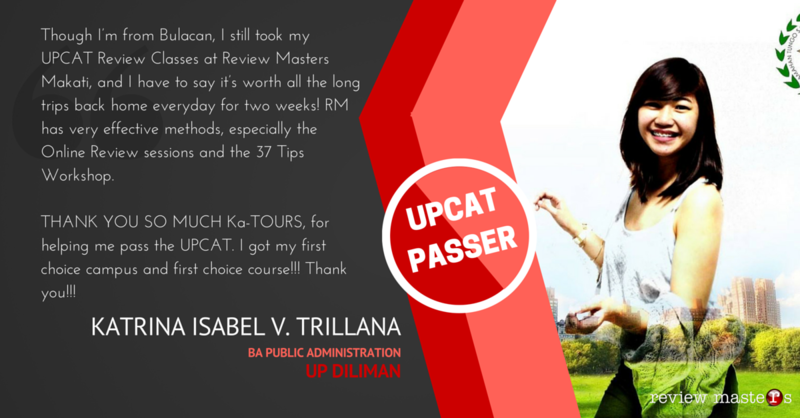 Hear what parents are saying about the Review Masters college entrance test review programs. 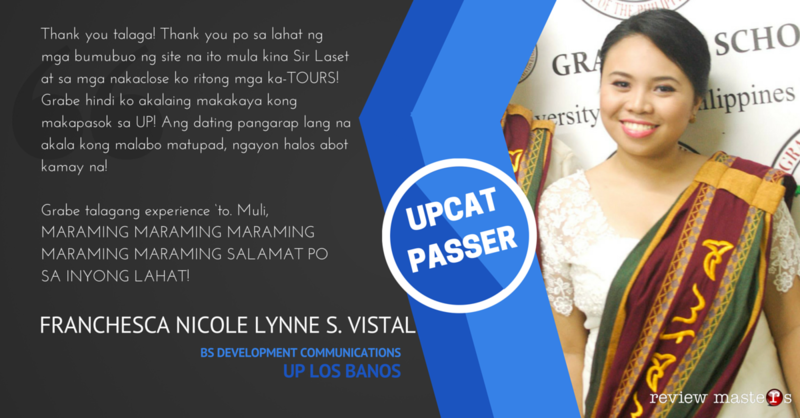 Enroll your child in the UPCAT Success System! Let your child be one of the thousands of students who are using this review system to their advantage. You might want to go over these articles to help you prepare.